Kitchen backsplashes are a natural place to add some individual style. From the different color options to the wide variety of materials, there are many possibilities for a unique and fun backsplash. And one of the easiest ways to add some personal style into the kitchen is to think kitchen backsplash contrast. Using contrast in a kitchen backsplash, for starters, helps the often-overshadowed area behind the stove or counter space pop. 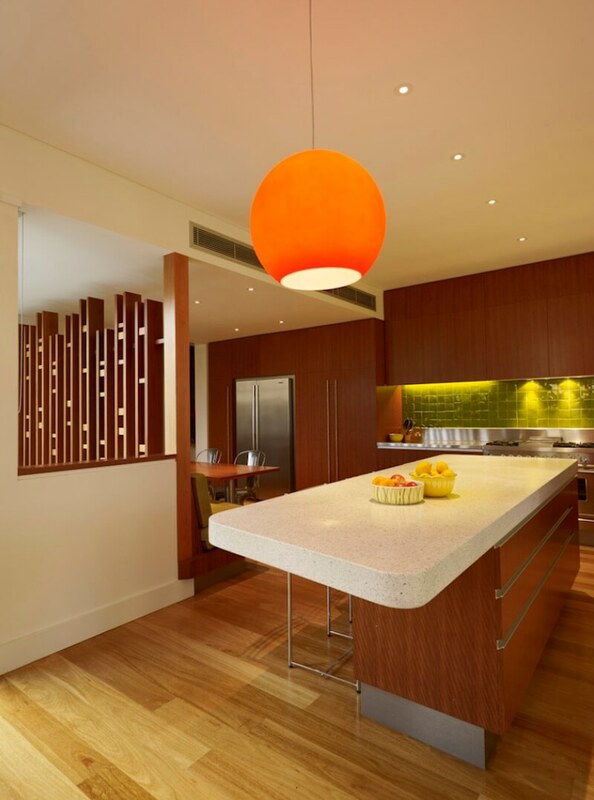 It can also add a colorful backdrop to the kitchen and help define the style of the space. 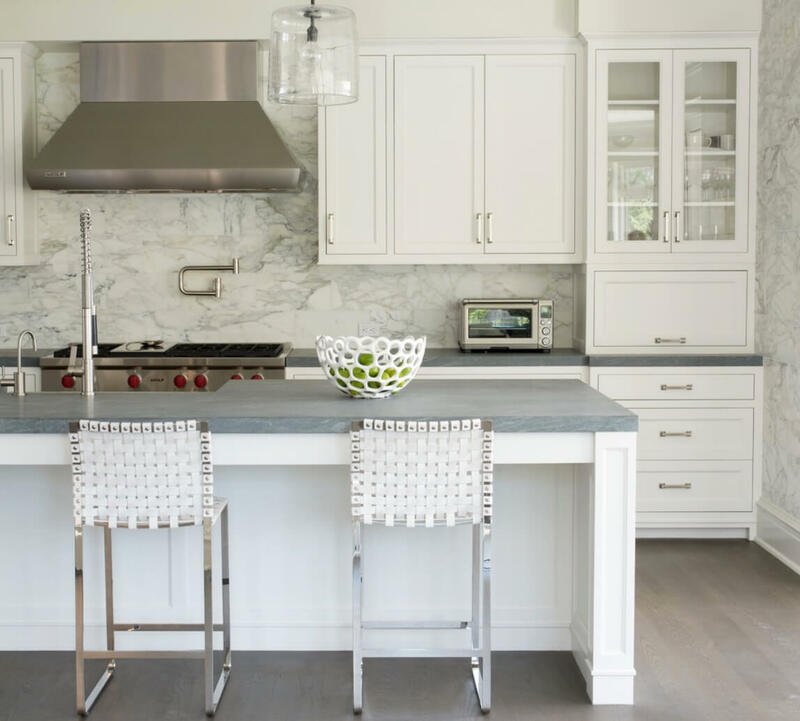 Read on to find out how to use contrast in a kitchen backsplash. Perhaps one of the most striking ways to get some kitchen backsplash contrast is to go for a collage design. This immediately adds instant visual interest. A black and white design is a safe bet to create instant contrast. 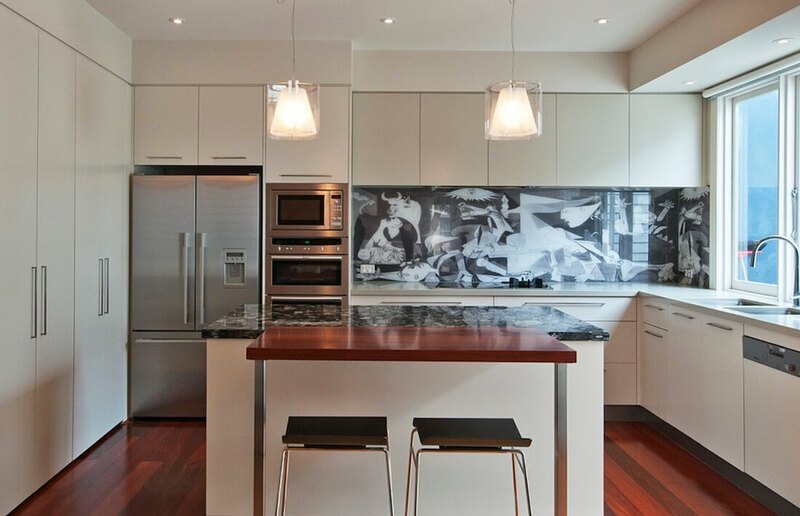 Using black and white can help the design go with lighter kitchen color schemes. A black and white style can be a stately design that adds visual interest without competing with the rest of the room too much since the colors are neutral. Of course, don’t be afraid to try a colorful collage design. It could either make for a great focal point in a room with a more neutral color scheme or match other colors in the room. Tile is always a favorite for kitchen backsplashes. Tile tends to be made of slick materials that are resistant to heat and are easy to clean. One way to get some kitchen backsplash contrast is to choose tile colors with contrast between them. 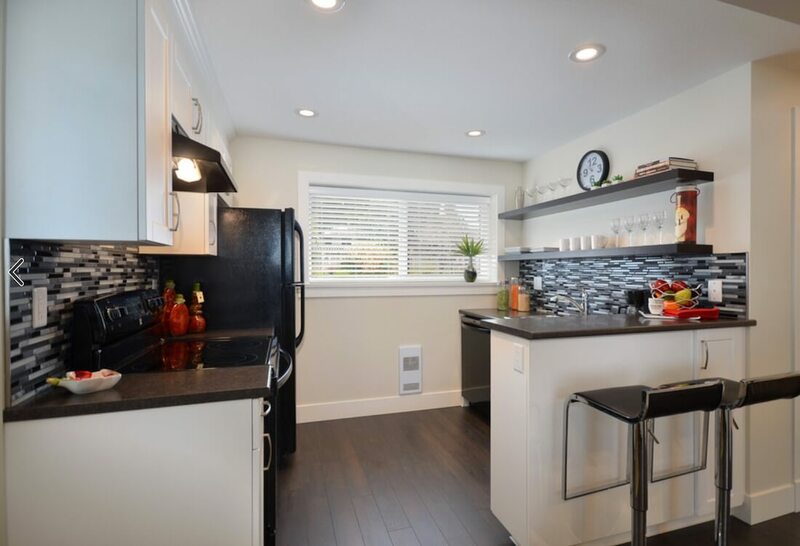 Again, black and white tiles are a favorite for instant contrast that goes with popular light kitchen color schemes. But you can use any color combination you see fit that creates contrast, like dark shades and bold, bright shades. It’s a highly customizable design that you can use to match any color scheme choice. A more unconventional idea is to go for some texture in the kitchen backsplash to create contrast. 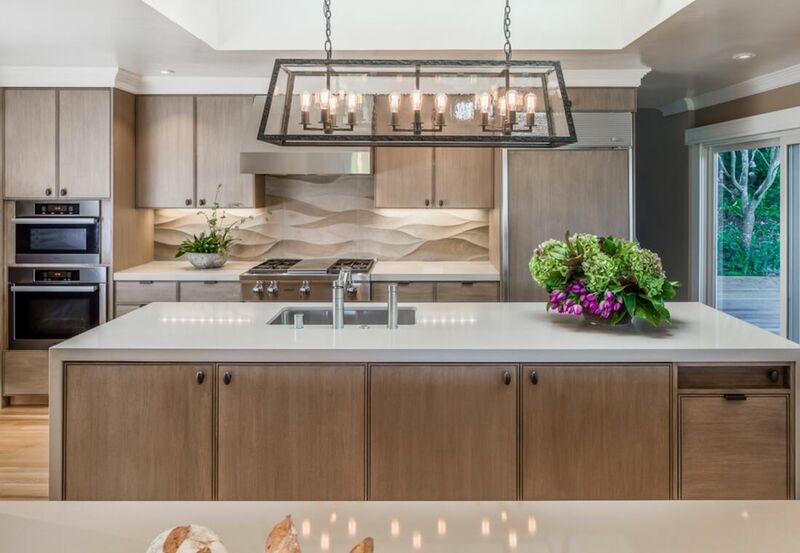 The photo above shows that some wave designs added to the backsplash help create contrast as the light hits different points of the design. Added beige shading helps with that contrast for a look that is both bold and subtle. This idea is a creative addition that can match just about any kitchen style. To create a similar three-dimensional look, you might use a tile design where some tiles are raised higher than others. Still other designs are more abstract and geometric. Another choice for getting kitchen backsplash contrast is to choose one bold accent coloragainst a more neutral backdrop. Take the red tiles lining the kitchen space in the photo above as an example. The wonderful aspect of this design is that you can then use that accent color in the rest of the space, like in some curtains or furniture. That allows the backsplash to become a part of the overall design of the room. This leads to some cohesion in the space, as the backdrop becomes a key focal point for that accent color. It also allows you to work with bright splashes of your favorite color. An easy way to get some instant contrast is to go for some natural materials as the kitchen backsplash. For instance, marble instantly gives contrast, since it has dark veins running through the white material. Some marble has darker veins than others, meaning you can have as much or as little contrast as you’d like with this style. Another option is using natural stone with different shades. That will give the kitchen a natural, outdoorsy and rustic look, if that is the style you wish to have in the kitchen. The color contrast and the rough texture of the stone will work well together to draw the eye. When using contrast in a kitchen backsplash, the backsplash doesn’t have to contrast against itself. You can use one color for your kitchen backsplash. In that case, the contrast comes from the way the color you choose for the kitchen backsplash contrasts with the rest of the space. 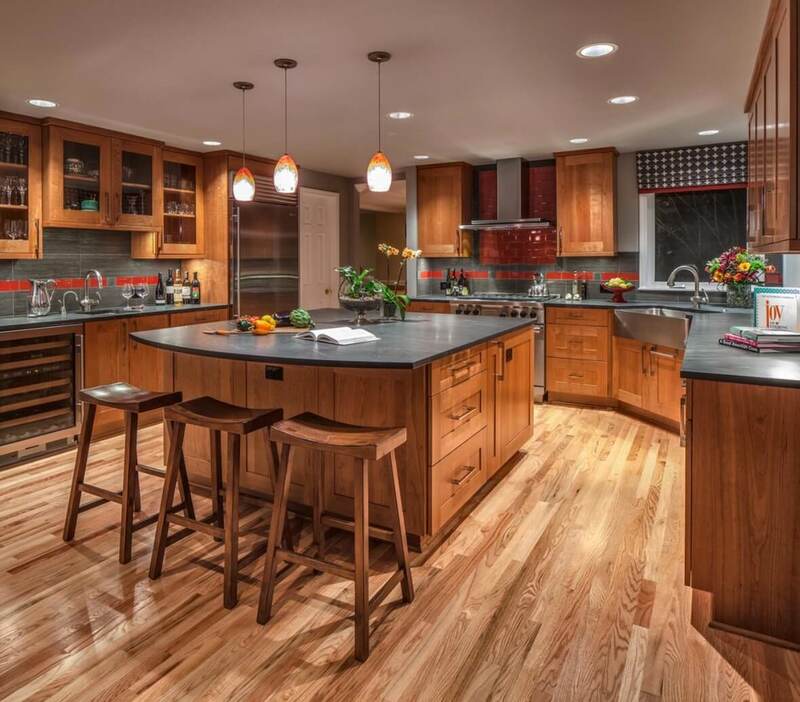 For instance, you might use a bold color on a kitchen backsplash to contrast against natural wood textures, like in the photo above. Or a light kitchen backsplash may contrast against a darker overall color scheme. This design will then draw the eye to the backsplash and add some visual interest to the space.